Findings by Japanese scientists could eventually lower donor organ shortages. 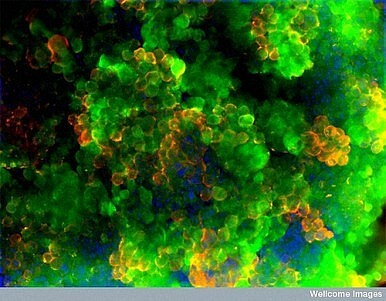 A team of scientists in Yokohama have grown tiny pieces of human liver tissue using stem cells. Once transplanted into lab mice and attached to the animal’s blood supply, the liver pieces became functional and began cleaning toxins from the blood. The findings are a major breakthrough for stem cell research across the globe. “The work marks a world first for the field of regenerative medicine, which has promised so much but until now failed to produce the major achievement of a complex organ that connects to a recipient's blood supply,” said The Guardian. Global organ donor shortages are making it more and more difficult for medical institutions to perform life-saving transplant surgeries. Digital Journal reported that 2,938 people in the U.S. died while waiting for new livers in 2011 alone. “The shortage of organs is virtually a universal problem. In some countries, the development of a deceased organ donation program is hampered by sociocultural, legal and other factors,” wrote Yosuke Shimazono in a report for the World Health Organization. “Even in developed countries, where rates of deceased organ donation tend to be higher than in other countries, organs from this source fail to meet the increasing demand.”. Myriad factors affect the availability or donor organs, to the point that there exists a black market for organs from live donors. Being able to literally grow replacement organs could put an end to the desperation that sick individuals experience while waiting for a transplant that might not happen in time. It could take ten years or longer for scientists to grow a full-sized liver for a human transplant, but the current research creates a major stepping stone in that direction. It will also pave the way for growing more complex organs. The liver tissue was given two months to grow into “organ buds,” each about five millimeters in size. Yokohama University researchers used human skin cells to yield “pluripotent stem cells,” which were used as the base for growing the liver pieces. "To our knowledge, this is the first report demonstrating the generation of a functional human organ from pluripotent stem cells," said one of the researchers involved in the study, as reported in The Independent. Using pluripotent stem cells is a huge jump from ordinary stem cells, and may aid in breaking down the controversy that has typically surrounded the usage of stem cells for medical research. Ordinary stem cells are harvested from human embryos, while pluripotent stem cells are taken from mature cells that can be reverted to an earlier state. Using pluripotent stem cells also means that, for the first time, religious conservatives and other stem cell opponents will no longer be able to protest further research on “moral” grounds related to the destruction of human embryos. This may allow stem cell research to progress much faster in countries that had previously struggled with the ethical debate over the issue.